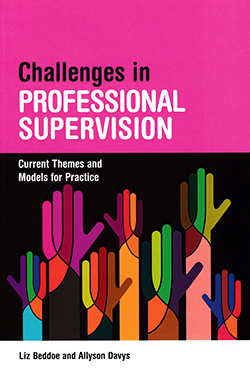 This book looks at supervision in practice and draws on the latest research and theory. It is intended for health, social care and counselling professionals, although its content is applicable to allied healthcare professions. It covers contemporary ideas in professional supervision as well as modes, models and skills, which means the reader can engage with theories of supervision in practice before studying the relevant models. The chapter on stages of manager development emphasises the importance of building resilience through supervision, and ensuring that all levels of staff are supported. The book is laid out well, is easy-to-read and provides useful vignettes throughout, helping the reader to digest information. It offers a comprehensive overview of different types of supervision that may be suitable to professionals in a wide range of roles. Staff in new role will also carry out invasive procedures, government documents suggest.